A very nice studio comprising a living room, a fully fitted kitchenette, a bathroom with W.C., a dining area and a facing west balcony with stunning views. 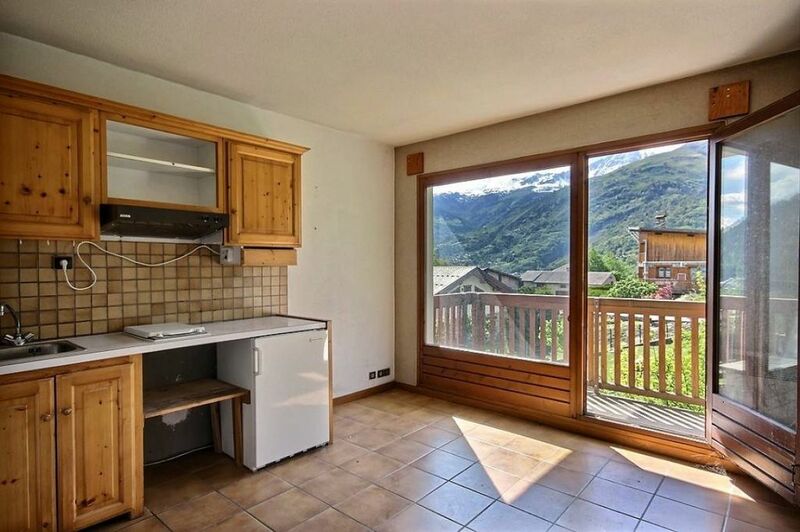 Its location is just as strategic today as in Roman times, at the heart of the Upper Tarentaise and such major winter sports resorts as Les Arcs, Tignes, Val d'Isère and Sainte Foy Tarentaise. And it is connected to the international San Bernardo ski area (La Rosière/Thuile d'Aosta) via the Ecudets chairlift situated six kilometres from the village centre. A shuttle bus links Séez to Les Escudets during the ski season.